The government has seen off calls in Parliament to scrap its planned rise in VAT to 20% from next January. A proposed amendment to the Finance Bill by the SNP and Plaid Cymru, which would have prevented the increase, was defeated by a majority of 295. A Labour-backed amendment calling for the move to be delayed pending an assessment of its impact on vulnerable groups was also defeated. 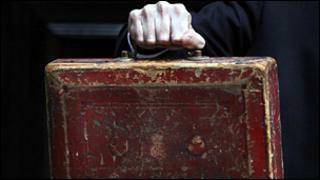 Ministers have said the tax rise is "unavoidable" to reduce the deficit. In a further vote, MPs approved the VAT rise by 321 to 246, a government majority of 75. The votes came during a lengthy debate on the bill, which enacts last month's Budget, in the Commons. Chancellor George Osborne has said the planned rise in the main rate of VAT from 17.5% to 20% is estimated to raise £13bn towards reducing the £155bn deficit. The move was controversial as the Conservatives said they had "no plans" to raise it during the election while the Lib Dems attacked the Tories - now their now-coalition partners - saying their plans would necessitate a "VAT bombshell". But neither the Conservatives, Labour nor the Lib Dems ruled out raising VAT before the general election. MPs discussed a group of 16 opposition amendments - including a bid by the SNP to scrap the rise altogether and several Labour amendments, including one which would delay the VAT rise until the government has assessed its impact on pensioners, children and those on low fixed incomes. The SNP amendment was defeated by 316 votes to 21. Another Labour amendment, which was also defeated, would have exempted groups such as charities, local authorities and other groups from the VAT rise. A Lib Dem MP, Andrew George, tabled an amendment to peg the rise to just 0.5% - from 17.5% to 18%. "Of all the measures to restore the public finances it seems to me that a VAT rise has to be among the least welcome of all of the alternatives," he told MPs. Treasury minister David Gauke said VAT was "one of the few levers available" to the government to address the shortfall in the public finances. "Any sensible government would consider it. And, given the circumstances we're in, any government would do it." He added: "We had to raise VAT because there was no money left." But shadow chief secretary to the Treasury Liam Byrne said Britain's pensioners may face "an £8bn VAT bill over the course of this Parliament". In an interview with the BBC's Daily Politics earlier, shadow chancellor Alistair Darling confirmed Labour had looked at raising VAT to 18% or 19% and said he did "not have a philosophic problem with that" as long as "you do something to help people on low fixed incomes" like pensioners and to ease the effect of spending cuts. He said Labour's amendment was not a "blanket refusal to put up VAT" but a "reasoned and considered amendment" which was calling on the government to do more to help those worst hit by a VAT rise.